Our kits include everything you need to take home and assemble in the same afternoon. 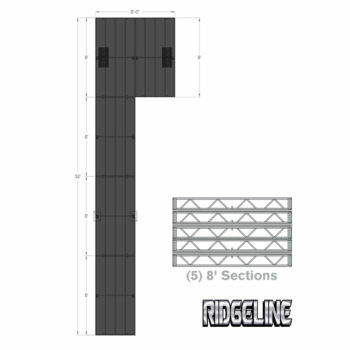 Our most popular (5) section 32 ft. ‘L’ package has an 8’ x 8’ pad at the end with a leg and wheel kit. 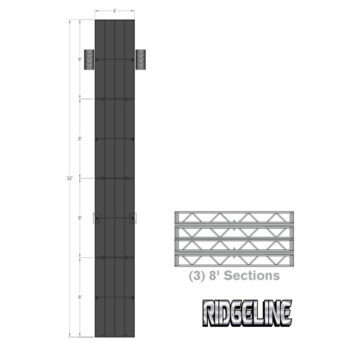 It’s a perfect starting point for almost any shoreline – plus you can add sections on-the-fly. 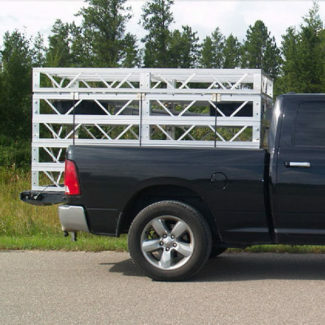 The Kit Dock will fit in almost any pickup truck bed and bolts together in less than an hour. 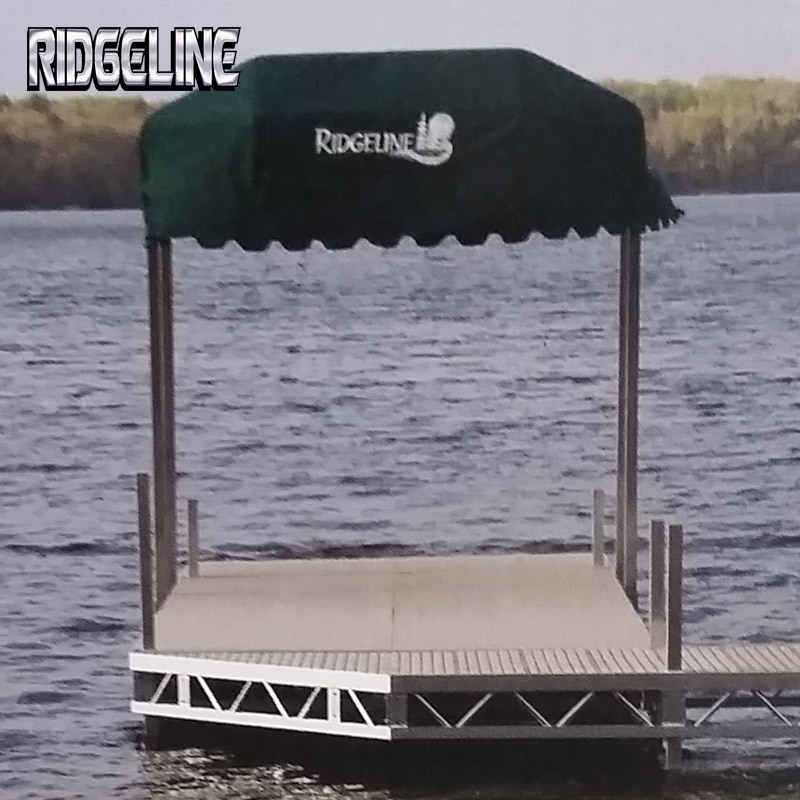 Roll it in the water and start enjoying the lake – Ridgeline Kit Docks make it that easy.It also accepts most of our standard dock accessories and looks great. 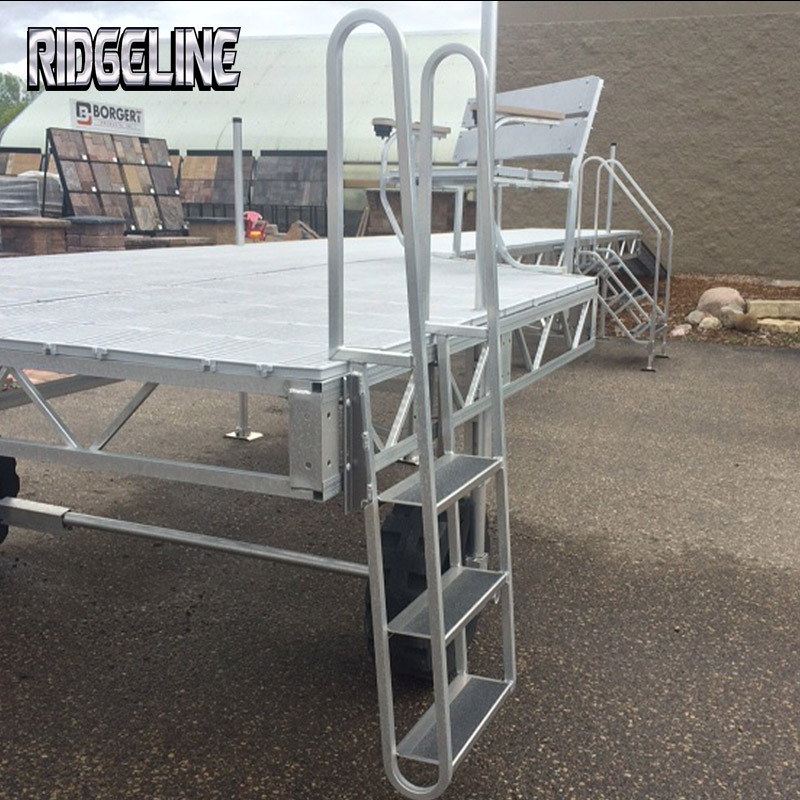 • Dock can be assembled and adjusted with optional leveling kit – you don’t even need to be in the water! 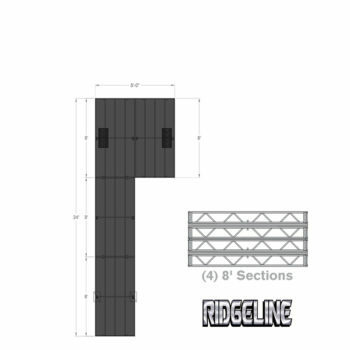 • Removable 4’x4’ rot-free and anti-slip polypropylene grate style decking allows wind and waves to pass through. 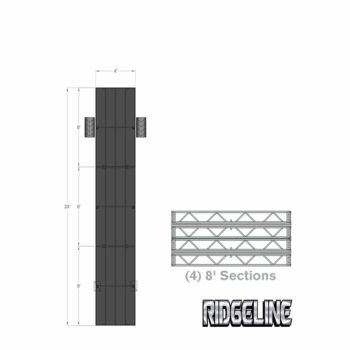 Removable panels allow for ease of installation. Includes a Lifetime Warranty to original purchaser on UV protection. 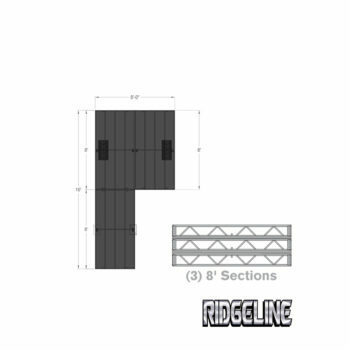 We’ve put together kits for the most popular configurations in 16’, 24’ and 32’ sizes. We recommend starting with our most popular (5) section kit, which provides a great start point and the best “bang for your buck”. Pick the kit that suites your shoreline best. 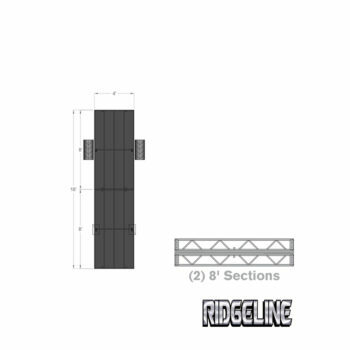 The Kit Dock is a modular design, so you can always add sections and easily change up your configuration. The same great add-ons for the Premium and LT series are now available for our Kit Docks. 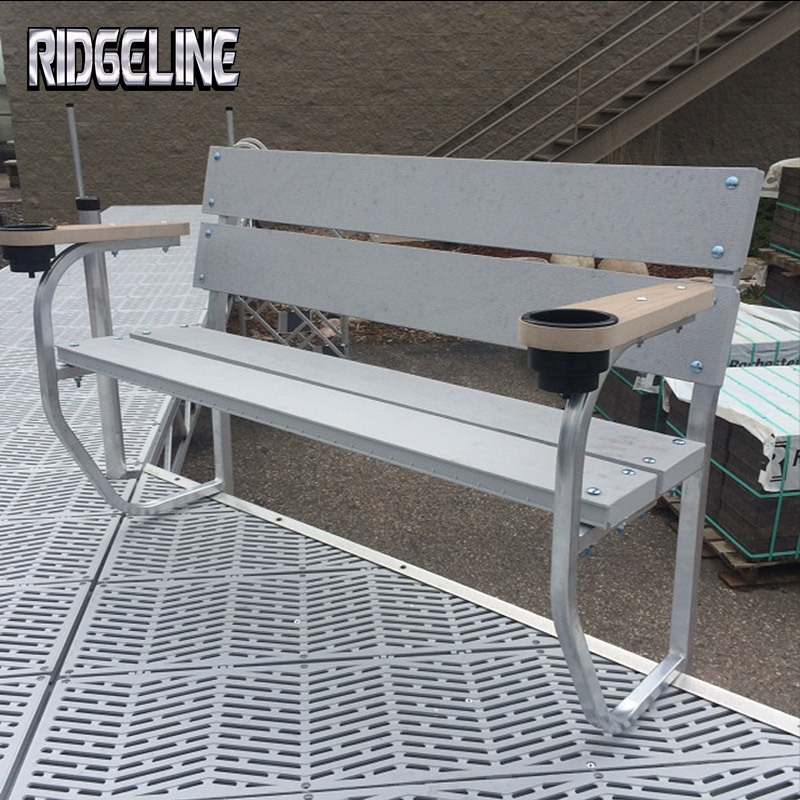 You can be sure that all our accessories are highly functioning and add value to your shoreline experience. 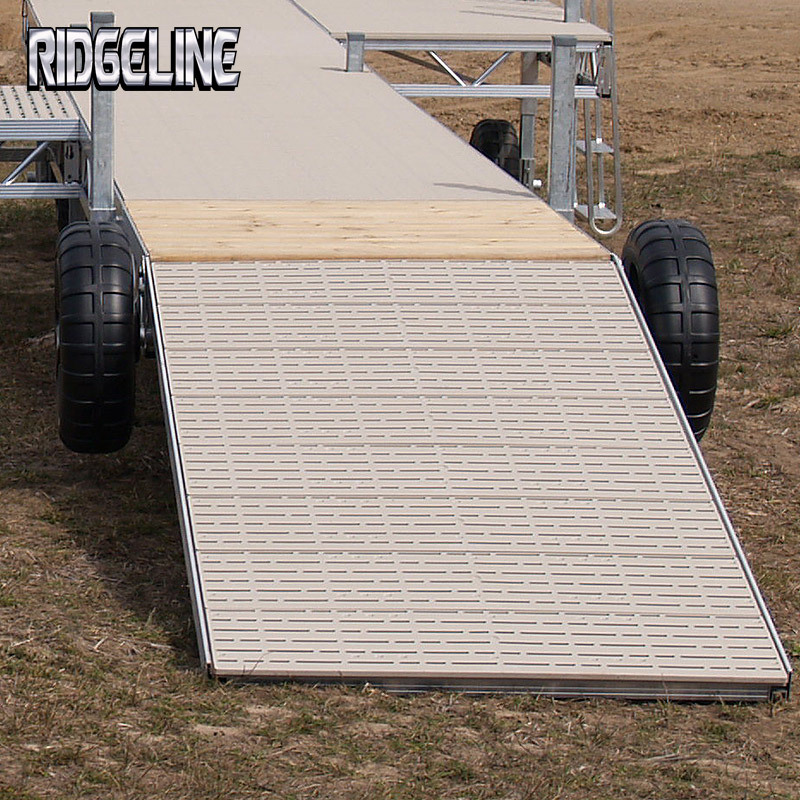 They’re all built to the highest quality standards to match your next Ridgeline dock. 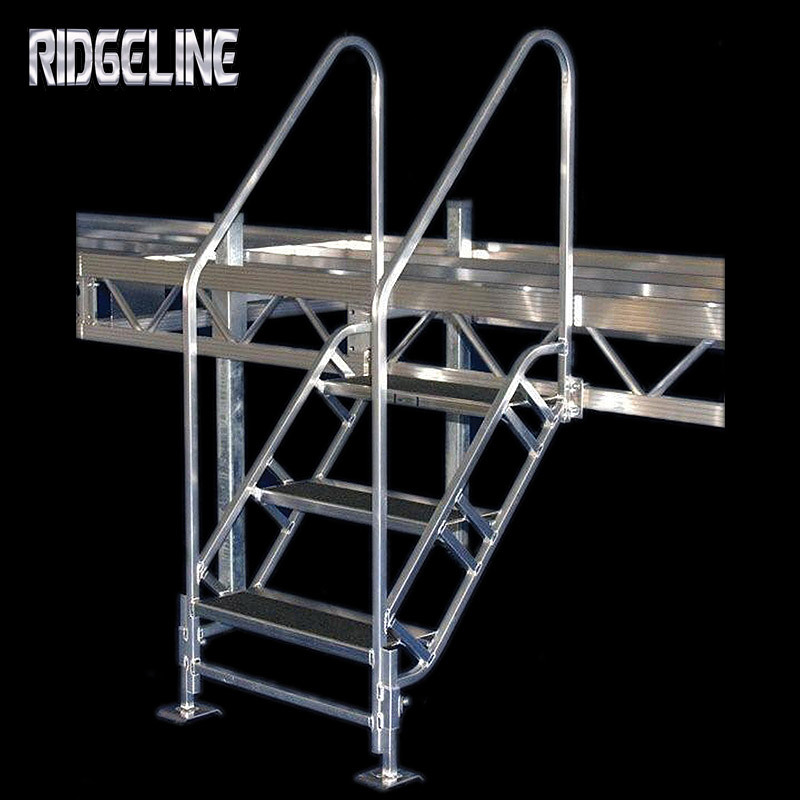 Our Kit Dock series is backed up by our exclusive 5 year warranty. We use the finest aluminum stock around and pour our blood sweat and tears into every single section. You can rest assured that this the best value on the market for your dollar. We never cut corners, literally and figuratively, that’s why we’re proud of every dock that rolls out. We guaranteed it. Questions, requests or just wanna talk about fishing? Shoot us a line – we’re ready to field your questions and help bring your dream dock to life. 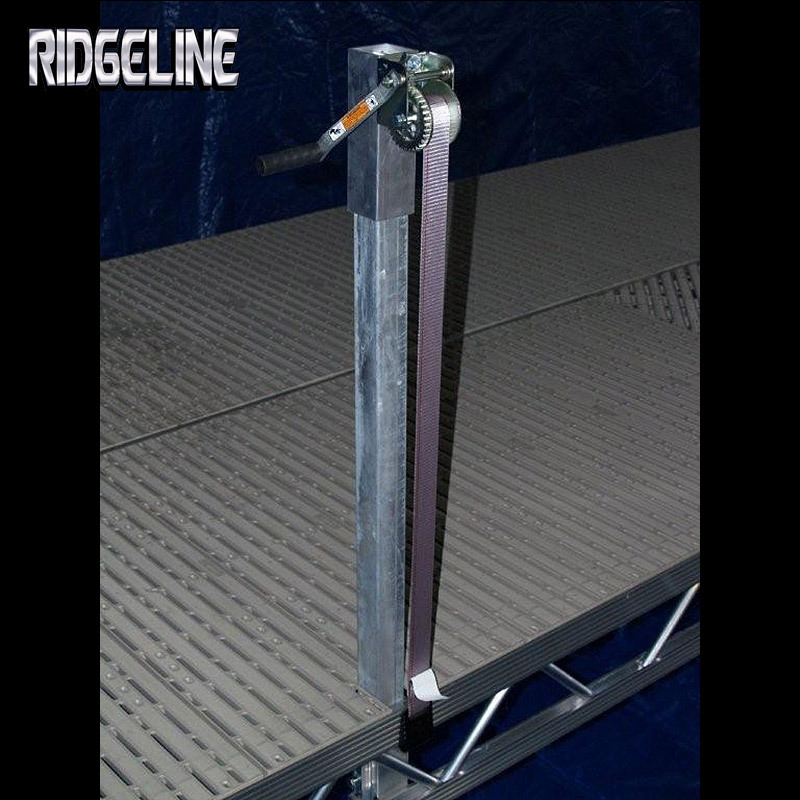 Ask for it by name, the Ridgeline Kit dock is best value you can get on any shoreline.